Like any sane and well-adjusted soon-to-be-wed, you’ve always dreamed of treating your guests to a reception laden with a myriad of tasty desserts – tables spread with of decadent cupcakes, decorative towers of butter mints, books full of bonbons; your dream candy buffet ideas come true. The only problem is that after sharing your vision with your caterer you discovered that the Elysian sugar fields you’ve been fantasizing about are going to be a few zeroes out of your price range. So what’s a downtrodden bride or groom to do? Well here’s a thought: just make your own wedding desserts. Given how many other wedding-related tasks you already have on your plate, we understand that this might sound insane. But bear with us. If you have a smallish guest list and a basic set of kitchen skills then catering the desserts at your reception isn’t just possible – it’s actually preferable compared to paying somebody else a few thousand dollars to do it for you. After all, we’re living in the age of Pinterest and wedding blogs and the ability to buy ingredients like bulk candy cheap online. It’s easy to find a collection of DIY wedding dessert recipes that are tasty, affordable and easy to make – and we’re about to make it even easier. 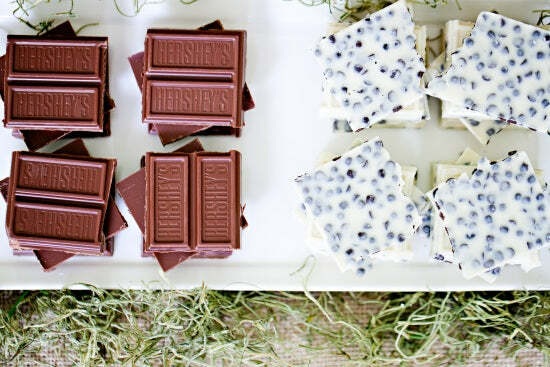 To help all you crazy kids out there make your reception a little sweeter, we’ve compiled a list of our favorite homemade nuptial snacks from the far corners of the web. So grab yourself an industrial-grade bag of flour and warm up your scrolling finger because we’re about to ring your wedding bells. Let’s do this. This sweet idea from Once Wed is absolutely brilliant, especially if you’re working with limited time or on a limited budget. Make your own set of personalized treats by redecorating a tray of store-bought brownies or cupcakes with monogrammed chocolate tokens. 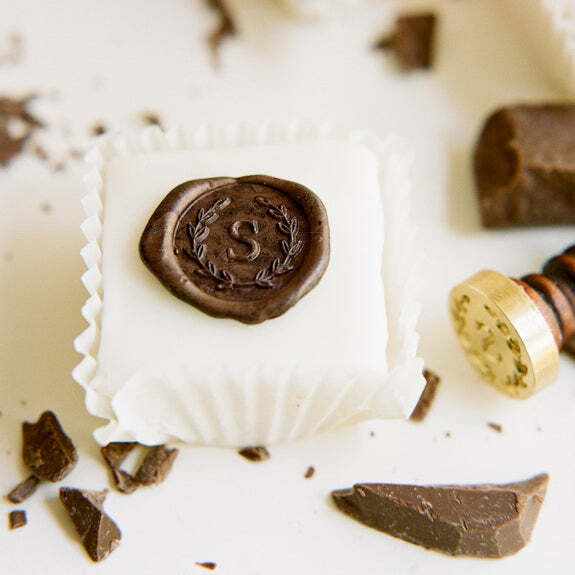 Assuming you can find a seal with your initials, it’s a super easy way to trick your guests into thinking that you spent hours slaving away in the kitchen making a batch of custom sweets. While they weren’t necessarily intended to be wedding fare, these Death By Oreo cupcakes from Instructables.com will make an excellent feature at your reception. 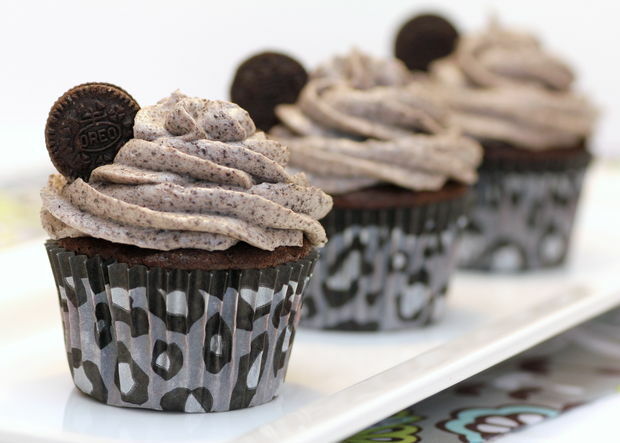 They’re rich, they’re tasty and those little mini Oreo accents look adorable in photos. Use cups that match your wedding colors and your guests will love them – especially when they bite into that hidden cookie at the bottom. Get the recipe at Instructables.com. Finger foods are always a hit at weddings. This is doubly true when those fingers are clasping a Strawberry Shortcake Kabob from Lady Behind the Curtain. They might look like Michelin-grade aperitifs, but these sweet skewers are a cinch to make. Just grab some frozen biscuit dough, some strawberries and some cool whip and you’re in business. 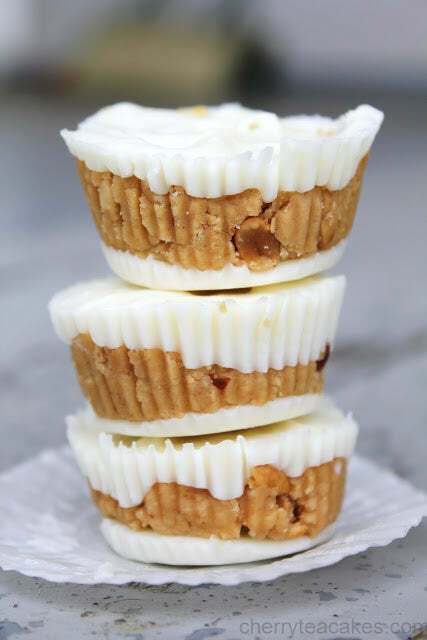 Grab your mama’s chocolate mold and make your ceremony a white wedding with these homemade White Chocolate Peanut Butter Cups from Cherry Tea Cakes. With a sweet layer of souped-up peanut butter sandwiched between two decadent white chocolate layers, they’ll put those hacks at Reese’s to shame. Or maybe not. Still, they’ll look pretty and taste good and really, that’s all that matters. Get the recipe at Cherry Tea Cakes. You can thank the Italians for inventing a dessert that’s literally nothing more than sweetened cheese and chocolate chips in a pastry cup. 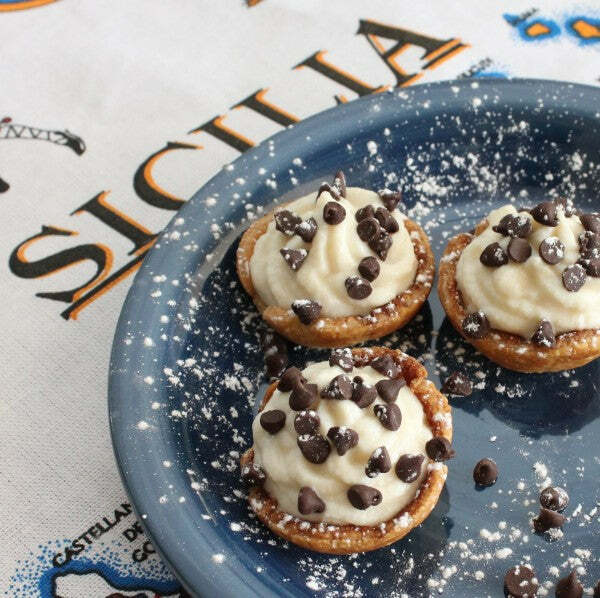 Seriously, we cannot understate how easy it is to make these Mini Cannoli Cups. Not even your father in law could mess these up and we all know how he gets around electric mixers. The fact that they’re also delicious is just a cherry on top. Get the recipe at Cooking with Sugar. 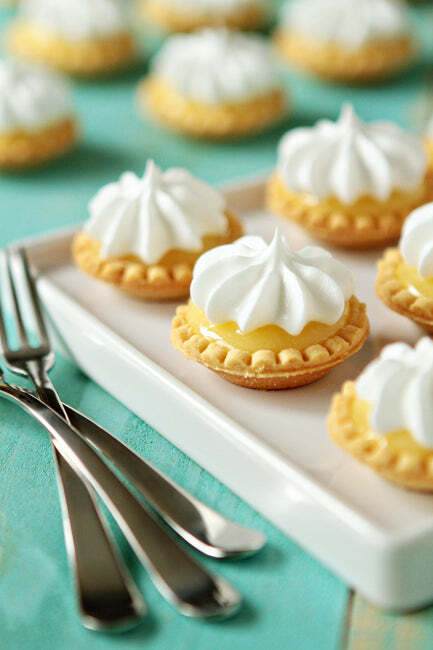 These Mini Lemon Merengue Pies from My Baking Addiction are perfect for a summer wedding. They’re a little sweet, a little sour and totally adorable. They’re perfect for guests who fear normal-sized pies or have a baseless hatred of silverware. Hunker down and you can probably churn out a couple dozen in less than an hour. We’re not sure who originally came up with the idea of stuffing a bunch of ingredients into a shot glass and calling it a dessert cup, but you owe them a debt of gratitude. 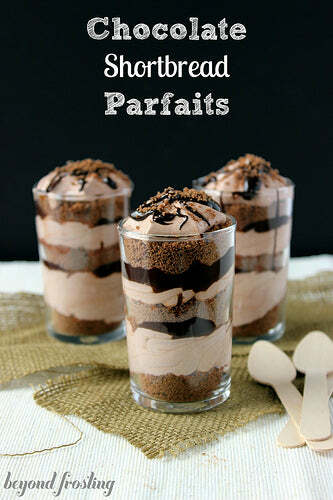 These No Bake Chocolate Shortbread Mousse Parfaits might just be the treat that saves your reception. Little more than layers of shortbread and chocolate whipped cream, they’re packed full of flavor and will look great when your friends post pictures of them on Instagram. Pro Tip: Cut costs and save yourself a potentially dangerous cleanup by using disposable plastic shot glasses. Learn how to make your own at Beyond Frosting. Call it lazy, we don’t care. 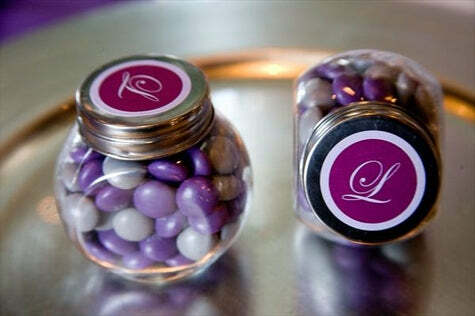 We personally think that every reception dessert table looks better with a couple of apothecary jars full of color-matched M&Ms on top of it. It’s like having a decorative and edible art installation made just for you. Conveniently, we carry a full spectrum of colored M&Ms, so the only thing you have to “do yourself” with this DIY dessert is to pick out your wedding colors and click “Purchase.” You’re welcome, world. Is your reception in the early afternoon? 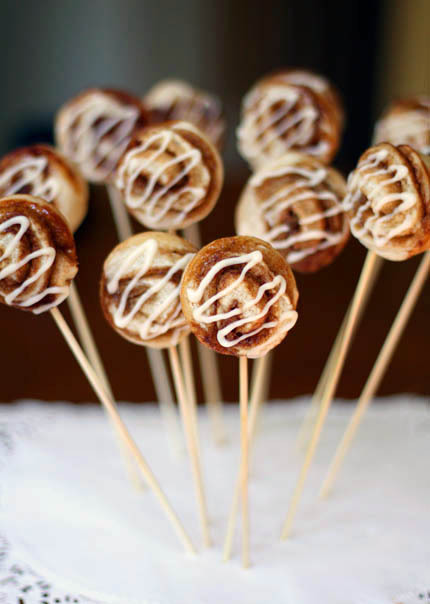 Help your guests warm up to the party with these amazing mini cinnamon roll pops. Like the name implies, they’re quite literally tiny cinnamon rolls on sticks – which is another way of saying “the coolest dessert pops we’ve seen all year.” Whip up a few dozen of these little buggers and make the other brides in your wedding party flush with envy. Get the recipe from Artisan Bread in Five Minutes. 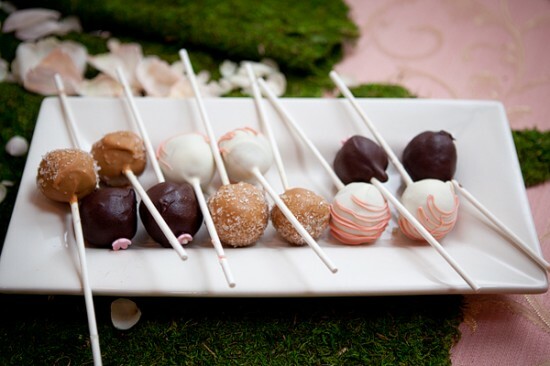 Cake pops have become ubiquitous at weddings and pretty much everywhere else dessert is eaten. They aren’t really unique any more but go ahead and make them for your reception anyway – you know you want to. We like this particular recipe from United with Love. 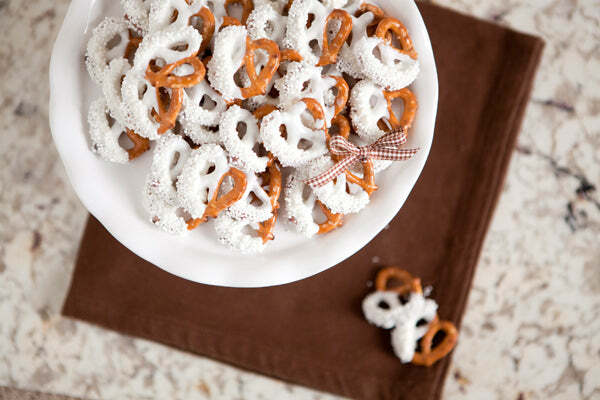 White Chocolate Pretzels have been a staple at wedding receptions since Woodrow Wilson was in office. However, like fine wine, they’ve only gotten better with age – so don’t hesitate to make some for your reception. We’re especially fond of this recipe from One Charming Party, which uses a half-dip with sprinkles to create a really cool looking pretzel. Get the full tutorial at One Charming Party. Think you’re baking skills are pretty sharp? 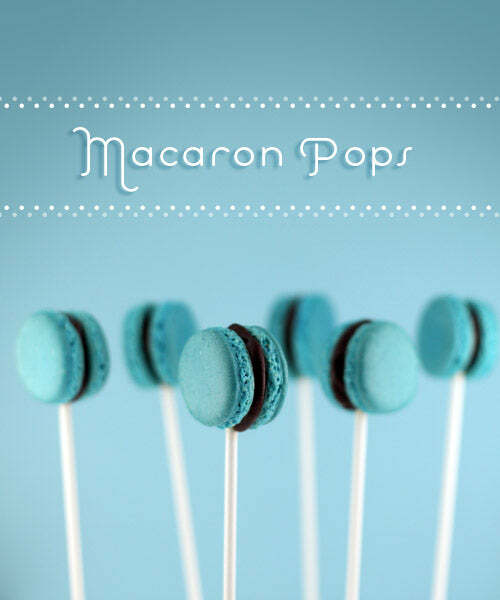 Then prove it by whipping up a few dozen of these Macaron Pops from Bakerella. These classic French pastries require a delicate touch and a lot of patience to pull off correctly. You’ve got to crush almonds and separate egg whites – and that’s just the beginning. However, if you don’t go crazy making them then your guests will definitely go crazy eating them. Test your mettle at Bakerella. Why worry about making your own wedding desserts when you can just get your guests to do all of the work themselves? Enter the magnificent DIY S’mores Table from United with Love. This idea is pure gold. All you have to do is purchase a variety of s’mores ingredients from the store and arrange them artfully on a snack table and your guests will handle literally everything else. It literally couldn’t be simpler. See more at United with Love. Think chocolate spoons are sophomoric and blasé? Think again – and stop using such big words. 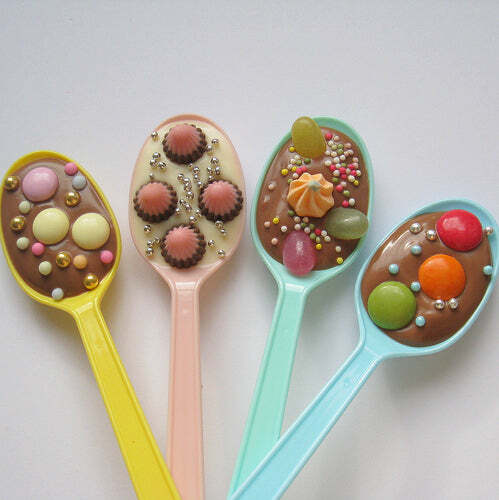 While chocolate spoons might be a traditional treat for kids, the mad minds at Delicious Delicious Delicious have converted this basic treat into a cool wedding favor by using premium spoons laden with gourmet chocolate, decorative metallic beads and colorful bonbons. They’re still easy to make, but now your guests can enjoy them with their pinkies held comfortably aloof. Get the tutorial at Delicious Delicious Delicious. 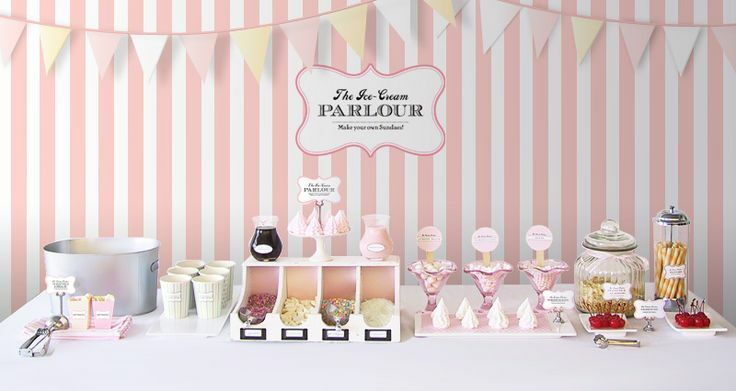 We’d like to wrap up this list with the ultimate easy wedding dessert – a DIY Ice Cream Sundae Bar like this one from Eat Drink Chic. When all else fails, you can always grab a few gallons of ice cream and a dozen or so varieties of toppings and let your guests have at it. If you can dress it up with some artsy serving trays and vintage scoops then all the better, but at the end of the day everyone will love this tasty classic. Add some different types of candy in there to beef it up even more. See more at Eat Drink Chic. Don’t let a limited budget stop you from dishing out the most amazing dessert spread in the history of weddings. Get bold and use these awesome DIY Wedding Dessert recipes to make your reception a true event to remember. It might not be the easiest thing in the world, but we can assure you right now – it will be worth it when all your friends tell you how jealous they are. And really, isn’t that what weddings are for? As always, if you’ve got an awesome DIY Wedding Dessert idea that we didn’t mention then post it in our comments section! If we like it we’ll share it with our fans and we might even give you a featured spot on our blog.